Katerina Ioannidou runs a small art studio inside the 17th century Megaron Gyzi Museum (opposite the Roman Catholic Cathedral). She creates hand-made icons using a traditional Byzantine technique, painting on old wood boards with egg tempera and 24k gold. 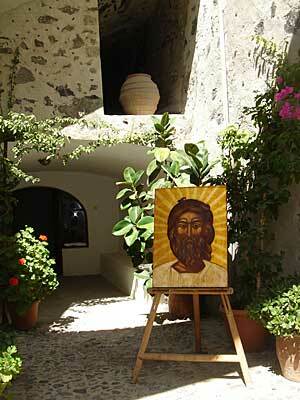 Inside you can find faithful reproductions of 15th-17th century icons and Byzantine ornamental pieces.